If History is “a set of lies agreed upon,” as Napoleon is supposed to have said, then American politics has increasingly become a series of induced hysterias by elite agreement. Thus the Ruling Class’s Trayvon Martin, Ferguson and Baltimore frenzies came and went, shamelessly unaffected by repeated Narrative Collapses—inexplicable, unless you were aware of Left’s amoral imperative to incite its black clients against the white American majority. And the current “Impeach Trump!” frenzy really has nothing to do with Russia or Comey—it’s simply the latest expression of the Left’s long-brewing refusal to accept defeat in the 2016 election, which it counted on to complete its coup against the Historic American Nation [Trump Impeachment Talk Started Before He Was Even Nominated, by Peter Hassan, Daily Caller, May 17, 2017]. It’s as simple as this: If the Evil Party gets control of the House of Representatives, Trump was always going to be impeached, regardless of what he did. (Conviction, which requires 67 Senate votes, might be more difficult—although Democrats probably assume any Republican President could be guilted into capitulation, like Richard Nixon, unlike Bill Clinton). The good news: this demystifies impeachment, which VDARE.com has long argued is not a juridical proceeding but an assertion of political control like a no-confidence motion in a Parliamentary system—and should be more broadly applied, by a patriot Congress, not just to Presidents but to bureaucrats and kritarchs. And the great news: we now have a road map to how a patriot President can survive a Ruling Class induced hysteria—Patrick J. Buchanan’s just-published Nixon’s White House Wars: The Battles That Broke A President And Divided America Forever. Buchanan’s book is important and powerful—but somber: he’s not joking at all with the last four words of his title, although he doesn’t dwell on it. It’s a theme that has increasingly appeared in his recent columns, here and here and here. In effect, Buchanan endorses VDARE.com’s contention that an irrepressible conflict is now developing between America and anti-America, which we argue is ultimately traceable to ethnic division and was fatally exacerbated by the 1965 Immigration Act, which became effective in 1968, the year of Nixon’s election. In this book, Buchanan does not directly mention immigration, which took time to emerge as an issue. But he does note with regret that Nixon failed to kill in the cradle two racial-socialist programs, Affirmative Action and federal social engineering of housing patterns, both of which were to become devastating to Middle America. Non-white immigrants qualify for both—absurdly unless you realize that the real purpose of these programs is to empower Leftist bureaucrats. The compelling immediate relevance of Nixon’s White House Wars, however, is its insider analysis in Chapters 3 and 4 of the brilliantly-successful counter-attack against its Leftist foes that the Nixon Administration launched late in 1969, its first year. This is what Trump should read (or maybe have Steve Bannon tell him about). Because the Nixon Administration and the Vietnam War both ended in disaster, it’s easy to forget that both enjoyed considerable periods of triumph, which at one point even amounted to what appeared to be conclusive victory. Nixon was re-elected in a landslide in 1972. 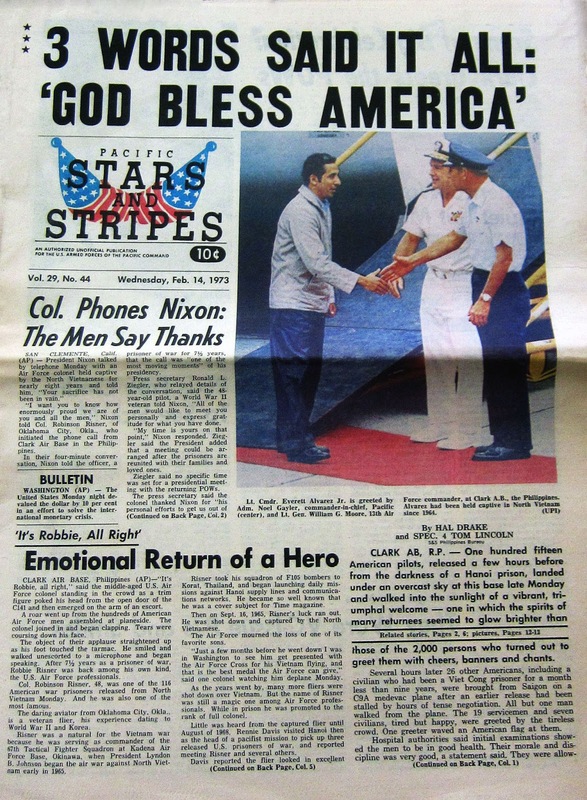 When he was inaugurated in January 1973, every provincial capital was in Saigon’s hands, the last US ground troops were leaving South Vietnam and American POWs were coming home. Optimists (I must say I was not among them, because I thought North Vietnam's control of Laos and Cambodia put South Vietnam in an impossible strategic position) thought a South Korea-type solution had been achieved. It took a lot of lying, sabotage and treason by MSM and Congressional Democrats to undo these successes and it took time, until 1975. But they did it, and have since written the era’s history. This was a particularly dangerous situation for Nixon because his Republican Party controlled neither Senate nor House. In theory, the Democrats could have wrested policy from him at any point, although in those days the prestige of the Presidency and respect for its prerogatives, sacralized by years of Democratic dominance, was still a serious inhibition. Contrary to his current Demon King image, Nixon had responded after his election very much as Trump (notwithstanding his more abrasive rhetoric) has done: appeasement. He made no move to defund Lyndon B. Johnson’s Great Society. He continued Johnson’s suspension of the bombing of North Vietnam, a disgustingly irresponsible ploy originally designed to shore up Democratic support in the 1968 presidential election campaign at the expense of the Americans troops fighting and dying in great numbers in the South. Similarly, Trump has notoriously signaled a willingness to accept many Establishment priorities in domestic legislation and foreign policy. Needless to say, appeasement did not work for either man. Partly this was because both provoked a really peculiar blind personal hatred from the political class— “for reasons I could not comprehend,” says Buchanan in the case of Nixon, “given his centrist politics and even liberal policies…” Much the same can be said of Trump, who has shunned long-standing social issues like opposition to the homosexual agenda that are usually supposed to cause the elite hostility to conservatives. A further problem for Nixon was the utter, bone-headed intransigence of Hanoi. For Trump, it is the virtual certainty that continued Muslim immigration will result in more Muslim Massacres, here or in Europe, probably in both. The speech was a huge success, with 70 percent approval. And this was in the teeth of unanimous derision from the network commentators, then an unchallengeable opinion oligopoly. This led directly to the dropping of the next shoe, also orchestrated by Buchanan: Vice President Spiro Agnew’s November 13 Des Moines attack on the Main Stream Media, which, blithely taking for granted that America would rally to their defense, the networks aired live. The results were catastrophic—for them. he’s conceding a reality that Agnew and Buchanan were the first to establish [Greg Gianforte won. Now what do Republicans do? May 26, 2017]. Had he left the practices of Annapolis back in Annapolis, Spiro Agnew would have been President of the United States. What this means in the current situation is clear: Trump must wheel and fight. And he must fight on the issue that elected him, which poses an existential threat to the American nation (and, incidentally, the GOP) that is even more serious than global Communism: mass out-of-control non-traditional immigration, which out-of-control Leftist judicial imperialists have now made unmistakably clear they intend to read into the constitution. Trump must make clear (especially to cowardly Republican Congressman) that the survival of the Historic American Nation is inextricable from his own. Even after Manchester terror, Congress silent on US problems, May 23 2017. Link in original. Will Trump do this? Of course, I don’t know. It’s crossed my mind that Trump actually is what used to be called manic depressive, and that after the superhuman effort of the campaign, he is currently in some kind of slump. (Being manic depressive is in itself no disqualification for high office: it didn’t stop Lord Chatham from being Britain’s greatest Prime Minister. And personal observation has convinced me that most professional politicians are psychologically odd). But, after all, Trump reacted to every other crisis in his short but crisis-filled political career by fighting his way out. if I had to bet, I’d say that, in some form, he will do it again.